01/13/10 – Completed Version 1.0. This includes the full walkthrough and a Q&A. 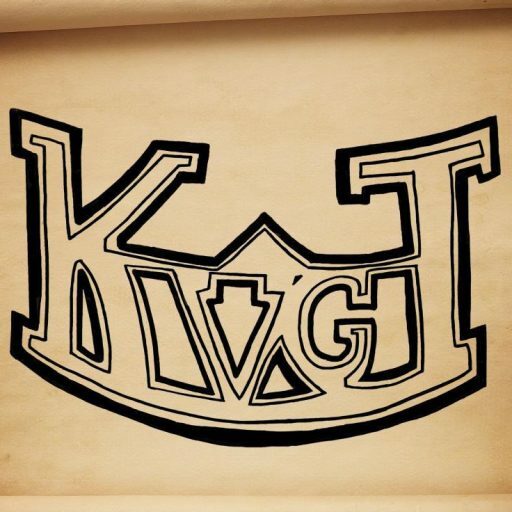 There is some formatting, grammer, and spelling issues that I will fixed, along with the About me and About KVGT sections will be added, but for the most part it is complete. ctrl+f and enter the letters in the brackets on the right of the section you’re looking for. A few notes before I start. I tackled this DLC at level 20 and on the Xbox 360. I had no problems with any of it. recommend doing this as it has some great items, but at level 20 most lose there appeal. found out how much loot there actually is. I did, however, note each important loot item. Loren’s Land”. It is located near the Docks that you had to originally take when visiting the Circle of Magi the first time. side at Ostagar. The man gets stabbed and you have the choice to either fight them or wait until they leave. the spot on the Ostagar map where he hid it and, sadly, dies. If you have Wynne and Alister in your party, they both ask to come along when you go to Ostagar. greeted by three Darkspawn. Take them out and search around for a few crates and sacks. by a Strider (mage). The strider holds Cailan’s Greaves, which is good for your tank if you don’t have anything better. Keep heading east to find a Joining Chalice (Gift) and another Sack. Back track to where you fought the Strider and now head south into Ostagar, where you’re met by three more Darkspawn. At this point, you can recruit the Dog, if you had not done so at the beginning of the game. the stairs. It contains Maric’s Blade and Secret Correspondence. through it and head back to where you found Cailan’s Chest. each side, with a Mage on the east. have a stealth rogue who’s stealth is high enough, disarm all the traps prior to engaging the enemy. The fight here consists of about 10-12 darkspawn accompanied by a Stratigest. It’s a long battle, and lots of loot. won’t have to worry about running back through everything you’ve done thus far. Make you’re way north towards the tower and be met by 4 Darkspawn lead by an Emissary, along with some random loot. Breastplate. Enjoy this mini loot-fest and enter the Tower of Ishal once again! room, loot, and move on to…oh joy, more darkspawn! the next room has about 9 darkspawn grunts and a Bareskin. you can just rush the room as the enemies are extremely easy. The final room in the tower brings you to a big hole in the ground and you get to go “Into the deep”. Kill the two darkspawn that are waiting for you, and loot the chest to the east. This will spawn a Corrupted spider. Three spiders in the next hall. Then 4 Darkspawn lead by an Emissary in the next hallway. As you walk onto the battlefield that Cailan died on, you see the dead Ogre that killed him and another flashback. because while you’re at range, the Necromancer summons Skelletons to attack you. rest of you deal with the Ogre. This makes for a shorter, but harder battle. then rush the Necromancer, while taking out the Skelletons with an AoE. This is a slightly easier fight. head back through the Tunnels. him up there for the Darkspawn. After this, exit Ostagar and…well…that’s it. Congratulations? Q: How do you get the dog? level 20 who was going straight through it should be able to finish it in less. Q: What items are worth looting? Q: What level should I be? Q: Are there any side quests? Ostagar, looting the chest, and finding the 5 pieces of gear. Q: Who should I take? Q: How many Achievements are there and what do I have to do? actual task states that you have to kill the Ogre, but both are required for the achievement. Q: I see an error/you missed something/I want to comment, how do I get ahold of you? forums. The second way is to e-mail me directly at Perplexinginkslinger@gmail.com. problem with it as long as you give me credit and send me the link. Awesome mate, I did the same set up with the character choices, only I’m a Mage and leliana is my dual wielding. My level was around 10 to 11 but found it still easy.